Here is the cheat code to increase the wanted level in GTA 5 on the PS3 and to be so hunted by more police. 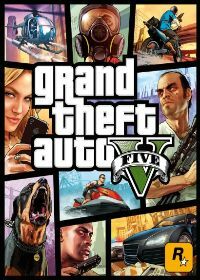 Give the cheat just a while Grand Theft Auto 5 running on the Playstation 3 and the wanted level is increased. Here are the Vote for the Cheat "increase Wanted Level - more police". Vote it for the Cheat-GTA.com Top-Ten! Just click a star and press submit. There are 1 comment for "increase Wanted Level - more police" on www.cheat-gta.com. Just add a comment. With * marked fields are required for a comment to increase Wanted Level - more police. increase Wanted Level - more police isnt the correct gta cheat code you are looking for?